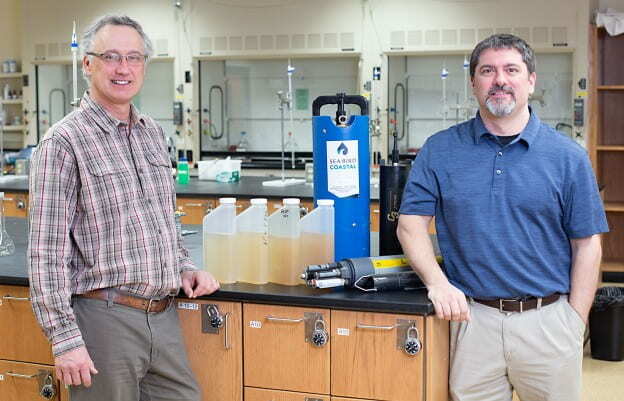 This story by Moira Harrington of Sea Grant describes the important work of UW-Green Bay faculty members, Associate Dean Michael Zorn (Chemistry) and Professor Kevin Fermanich (NAS, co-lead investigator). Writes Harrington, “Beyond the already extensive list of stakeholders who could directly use the models, it’s almost certain this work will resonate with average folks touched by projects such as the $7 million Bay Beach restoration in the city of Green Bay. There are plans for a new nearly 3-mile beach, beach house and boardwalk. A fishing pier will stretch into the water by 450 feet, bringing anglers that much closer to prized yellow perch and other desirable catches.